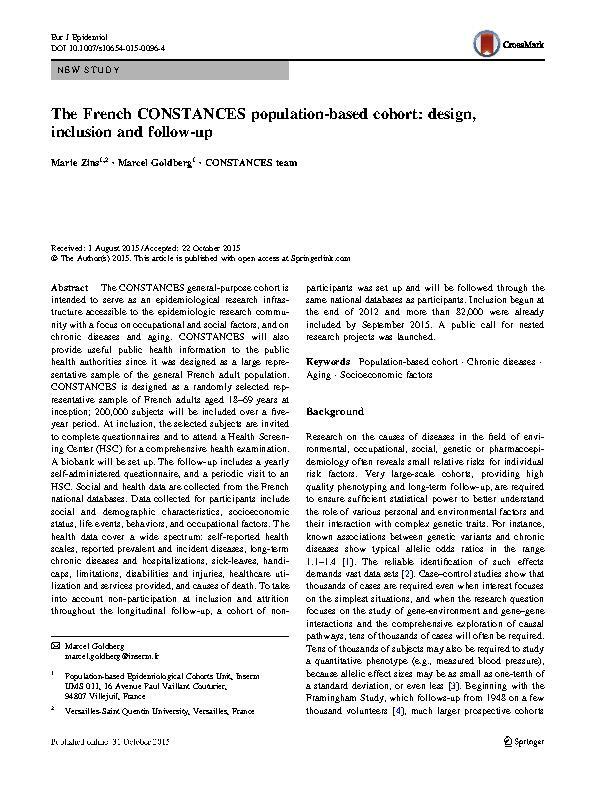 The CONSTANCES cohort: an open epidemiological laboratory. 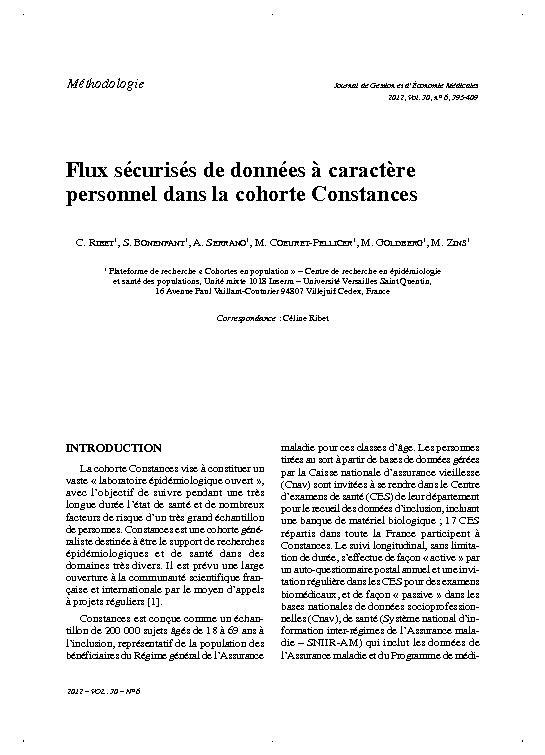 Description of musculoskeletal disorders and occupational exposure from a field pilot study of large population-based cohort (CONSTANCES). Population-based cohorts. Example of the Gazel and Constances cohorts.